Full Name Hashim Nadeem Khan, Mainly from Balochistan (Pakistan), famour for his playwrights. He also produced 27 Telefilms & 11 Drama Serial as 1st private producer, in which he was also writer and director. Basically associated with civil service but due to his unique style of narration; now widely recognised as a successful Novelist. 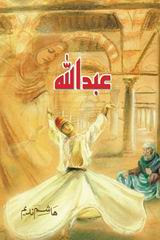 Abdullah is the third novel written by Hashim Nadeem Khan. Prior to Abdullah, his 2 novels “Khuda Aur Mohabbat” & “Bachpan Ka December” has got international acclaim and critic appericiations after publication. Hashim Nadeem’s Best Seller Abdullah is the story of a journey from ‘Virtual Love’ to ‘Real Love’. A story which unfolds the secrets of a different and parallel world.